Divorce is a painful experience, signaling the end of a relationship that was once full of hope and promise. Even if it does not feel like it, things can get better. This is because a divorce is also a beginning, an opportunity to rediscover your own identity independent of your relationship. It is also a chance to celebrate and move forward on your own terms. We would like to offer some fun ideas. Take a much-deserved vacation. It is a long, exhausting road to get from the decision to separate to obtaining a divorce decree. That is why we suggest taking a vacation within your budget. In fact, residents of Australia may be on to something as website booking.com has stated that one in ten Australians booking trips are listing their next vacation as a “separation holiday” to celebrate a recent separation. Whether you go camping, on a road trip, or on a month-long European tour, the idea is to get away and change your scenery. Throw a separation party. If you and your former spouse are on good terms, you might follow the example of Musician Jack White and Karen Elson, who threw a “party to celebrate their 6th anniversary, and their upcoming divorce.” This is to celebrate the relationship and send it off on a positive note. 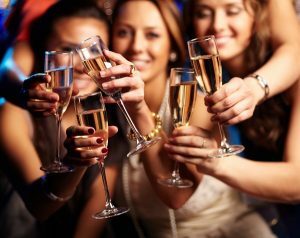 For many couples, this probably isn’t a realistic option; however, you can still throw a party for yourself and gather all of your friends. You can find divorce party decoration ideas on Pinterest. There is even a growing “divorce cake” industry! Find a new hobby. Divorce is an opportunity to explore your interests, without someone automatically saying “no”. Is there an activity that you have always wanted to try, or were curious about? Now is your chance. Have you been interested in scuba diving or horseback riding? Maybe you’ve had a thought to get into woodworking? Remember that untouched guitar you bought yourself five years ago. It is now entirely in your hands whether to take classes and pursue these interests. Begin fun new traditions with your children. Your family unit has changed, as has your daily routine and many traditions. Divorce is an opportunity try new things, make new traditions, and create new memories. For example, you can explore family volunteer opportunities, find one restaurant to go to every Thursday night, plan monthly visits with grandma, or cook a meal together from scratch every week. Involve the children creating these fun traditions. Separations and divorces are both an ending and a beginning. We want to help you with your new beginning. The team at New Direction Family Law has twenty years of combined experience and will provide you with thoughtful, effective legal advice to help you toward your goals. We serve Wake, Johnston, Lee, Harnett, Cumberland, Nash, Granville, Franklin, and Durham counties. Contact our office today at (919) 719-3470 to schedule a consultation, or visit us at our website.